Smartoffice s.r.l. follows the strict procudures requested by the Directive 95/46/EU as transposed by Decree 30th June 2003, no. 196 for the processing of personal data and the protection of consumers with regards to distant contracts, from Directive 97/7/CE as implemented by the Legislative Decree 22nd May 1999, no. 185. The owner and manager of the processing of data is Smartoffice S.r.l. with the sole administrator, Via Vincenzo Monti, 8 – 20123 Milano, P.iva 06483910961 – Enrolled in the register of companies of the Milan Chamber of Commerce. The data are processed via paper, electronic or automatic systems used to memorise, manage and transmit them and are kept in an access-controlled environment. Anyone interested can access the data that regard them at any time to update, change and integrate them and they may also exercise their rights of Article 7 from D.L. 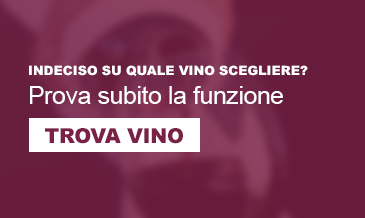 196/2003 by contacting us via email at info@vinozio.com. Personal data necessary for the purchase of the product, the execution of the payment and the delivery will be processed. Personal data shall be disclosed to the supplier of the goods and the delivery company solely for the purposes of the order. The data collected are used for the completion of the service and will neither be published nor sold to third parties; they may also be communicated to subsidiaries, affiliates and or other responsible persons for means related to the treatment of service. The treatment of personal data requested by Vinozio is essential for the conclusion and execution of the contract. The conferment of such data is therefore obligatory; in its absence it will not be possible to carry out the order. The conferment of optional data allows an improvement in the quality of service and provision of conditions. Upon registration, subject to the treatment of personal data they will also be used to send a free newsletter. The conferment of this data is obligatory in order to benefit from advantages which may be provided by individual promotional programmes; in their absence the advantages will not be granted. The subject may object at any time by contacting us prior to such treatment.